The story of the Harvey et al smear paper (previous posts here and here and here) continues to grow rapidly. It’s hard to keep up. The latest news is from a new blog post by Susan Crockford that includes two points of considerable interest – her letter of complaint to the journal, and a release of emails (Polar-Bear-Gate?) between polar bear scientists. Here I’ll discuss these two issues separately. “Grab your popcorn”, Susan says. This brand might be appropriate. It will be interesting to see whether Collins and Verdier adhere to this policy. The letter is quite detailed and carefully written. It deals with the false and misleading claims of her lack of expertise in the paper, and some specific lies in the paper, such as the unsubstantiated claim that “Crockford vigorously criticizes, without supporting evidence, the findings of several leading researchers who have studied polar bears in the field for decades”. She points to her preprint paper, which is full of evidence. Look at her other posts, for example this recent one, and you can see there is plenty of supporting evidence. She gives several other examples where her criticism is backed up by detailed evidence. In her letter, Crockford discusses a set of emails from 2012 and 2014 between polar bear scientists. These were acquired via a FOIA request (submitted by someone else, and then passed on to her). The emails have been transcribed and the email addresses removed. A key point in the emails is that they show another lie in the Harvey et al story. We’ve already established that the claim of a bunch of AGW denier blogs is a lie. But the emails show that the other side of the picture, of a happy family of scientists all in agreement, is also a lie. Some of the emails involve Dr. Resit Akçakaya, one of the scientists responsible for the IUCN Red List of endangered species. Other participants include polar bear researcher Øystein Wiig. Steven Amstrup (“Steve”) is the polar bear academic who is regularly criticised by Crockford and who lied about her in a recent press interview. Kristin Laidre works on polar bears and other arctic mammals and has worked with Wiig. “BN” models are Bayesian Network models, if that helps. SPSC is a committee within IUCN. PBSG is the Polar Bear Specialist Group, including Dag Vongraven, Amstrup, Laidre and Wiig. Here are some excerpts from the emails, in date order. I understood from Dag that you at the outset are a bit skeptical to the use of Bayesian methods in such an assessment. What, skeptical? Surely not? Is he a denier? Thus, it seems like this is mostly a probability based on expert opinion, and not what is meant by “quantitative analysis” in criterion E.
I think that this paper is Amstrup et al 2008. It makes dramatic claims of ‘extirpation’ of polar bears by mid-century, which is one of the claims that Crockford is critical of on her blog. Criterion E is presumably one of the conditions that must be fulfilled for red-listing. This guy Akcakaya is sounding a bit like Crockford, in his scepticism of Amstrup’s work! I discussed all this with Steve and he was not very happy about Resit’s view. – Overall he is very negative to the Amstrup et al. model and says it has very little value for anything, or the Red List. – He said he felt if PBSG used the BN model again this time for the new Red List it would very likely NOT be accepted and the polar bear would be listed as “Data Deficient”, which he felt would be a shame and also not a good thing politically. Ouch! Amstrup’s model has very little value for anything. Just crazy. And if we admitted that data was deficient that would not be “a good thing politically”. Between the 3 of us, this is a difficult thing to navigate in the PBSG because Amstrup plays a big role and is very sensitive about his model. He’s very sensitive about his model. Is this starting to sound familiar at all? We as a group will have to decide what we put forward for polar bears .. even if some are not happy. But surely, all the top scientists in the field are in agreement aren’t they? Fig 2 of Harvey et al showed that. There’s a 97% consensus! Surely it couldn’t be the case that climate scientists are telling us in public that they all agree with each other when in reality they disagree? Again, does this seem familiar? There’s more. Resit suggests to Kirstin, over a second lunch, that if they want to show that polar bears are declining, they need to get some data. This almost seems to be a new concept to Kristin and Øystein. We need to find some population rate data that can be related to change in population size. What? Really? We need to find some data? Why can’t we just rely on our expert opinion and computer models? Tags: Crockford, propaganda, science. Bookmark the permalink. 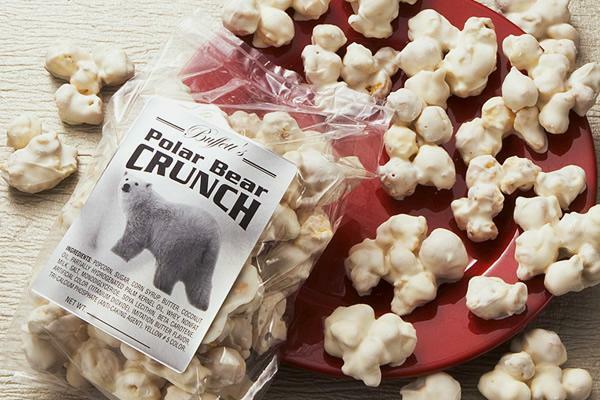 I propose we open a merchandising section for Cliscep with Polar Bear Crunch the star item. He’s not the only one. Geoff Chambers recently revealed to ATTP that the Cliscep team “are even now perfecting our predictive model as to when the great climate blancmange will finally slither down the wastepipe”. These emails will I fear mean a major adjustment to our own model. That blancmange is on the way. If Amstrup is sensitive about how his model looks, why does he not favour images of fat and healthy polar bears? Now you know what you can send me for Christmas! Surely there should be some emails from Lysenko in there somewhere!! Nixon is so last century. Polar-bear-a-lago it is. ‘We slaved for years over hot computers to give you catastrophic decline of Ursus Maritimus precipitated by catastrophic sea-ice loss due to catastrophic anthropogenic global-warming, Our magnificent models shone a light into a dark and perilous future. We gave the world hope; if only you would build more windmills, if only you would tear down forests, cover green fields in shiny glass panels, tear up the sea bed in order to harvest free wind offshore, if only you would do that, you could save the Arctic and save the cuddly white bears which roam its pristine white landscape. If the status of the polar bear population is data deficient, how can Crockford be so confident in her assessment? Also, note that C uses the decline graph for the Arctic as a whole in her preprint, but what is important to bears is the decline in the region they live in. The carbon brief article someone linked to shows no precipitous decline in the 19 regions. Btw, C is misnamed Crawford once, above. Most animals’ conservation status is listed as ‘data deficient’ which simply means that there is not enough information to list them as at risk. In the particular case of polar bears, listing them as data deficient would be due less to a lack of data (polar bears are very intensively studied in the field) more a stinging vote of no confidence in Amstrup’s model of catastrophic future decline based on sea-ice loss projections. That’s why an IUCN “data deficient” listing would be such a catastrophe for Amstrup et al. Len, the fundamental issue is that polar bears don’t care about summer ice extent, it’s the spring extent that counts. Thick spring fast ice is not good for hunting seals. Nice additional post, PM. This Harvey paper Is a skeptical gift that keeps on giving. Not what Harvey, Mann, et. al. imagined. But then that explains much about them, as you continue to point out. Well played. In all this discussion, why is there no mention of the WWF advertising almost daily on TV channels, exhorting us to adopt a polar bear? Why should I adopt a polar bear when there is no evidence of threat of extinction, and in fact they are thriving. Surely this is fraudulent. I can not conceive of any way the WWF can spend money to save polar bears, so is it obtaining money by false pretences? You are a valiant wannabe gang member. The issue us a paper printed with deliberate untruths.But you know that. The issue is a paper printed designed to maliciously attack another scientist in violation of publisher’s written policy. But you know that. 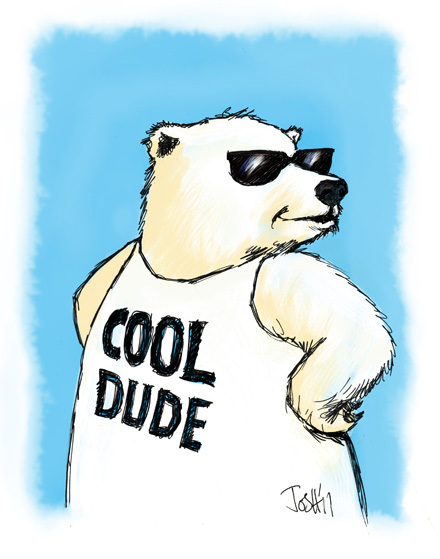 The issue is not the absolute knowledge of polar bears…. Even though you lie by inference with your pathetic deceotive framing of the question. The paper you still defend, like a dog hoping to get sloppy scraps, doesn’t allege she is,wrong on polar bear census. It ignores the best known empirical evidence to in irder to defend the models. And of course attack skeptics and others who annoy the gang. Trump had nothing to do with this. Edits: Typo fixed. Minor formatting changes. PBSG acronym explained. Yes, that’s what they do, and have been doing, for many years. Good article by Corcoran. I like the image of Susan Crockford drilling holes, not in the Arctic sea ice, but in “many of the claims and predictions of mainstream climate scientists”. presence or absence of any trend. a trend, or it might just be about a bear that got lost. bear populations and use that as the basis for any campaign. National Geographic is still promoting the fake news that polar bears are starving because of climate change. This was debunked last time it came up a couple of years ago. As Harvey et al 2017 has not been retracted, would it be appropriate to conduct a survey of the same blogs surveyed by Harvey et al 2017, to identify whether opinions/judgements are the same about Harvey et al? Such a survey about confirmation bias in Harvey et al 2017, about Harvey et al 2017, could be a handy reference guide for polititions, policy makers and research funders. Gergis 2016 could also be thrown in, because Climate Science has not thrown it out. In this way, money wasted on Lewandowsky’s techniques can be recycled positively. This seems to have been shot by a NatGeo videographer. He at least suggests that they didn’t examine the bear so that it might have been possible that his/her demise was not due to climate change. I wonder what syndrome focusses in on climate change as being the cause of a polar bear’s death. Mann or Lew will know, each having now been identified as a polar bear expert by virtue of having a gen-u-ine, bono fide peer- reviewed paper under their belt. Pity the word “polar- bear” wasn’t in the title. Alan Kendall, because it was Peer Reviewed, the authors of Harvey et al have determined that Climate Scientists can define expertise, on any subject, based on the Blogs that favour their work. Nine out of seven Climate Scientists prefer Harvey et al, and they have the statistics to prove it. Alan Kendall, in the era of Global Warming, the world’s populations of both Polar Bears and humans have increased. In Climate Science logic, Global Warming has therefore increased the number of Polar Bears and humans dying, and must be the cause. Pingback: Weekly Climate and Energy News Roundup #295 | Watts Up With That?